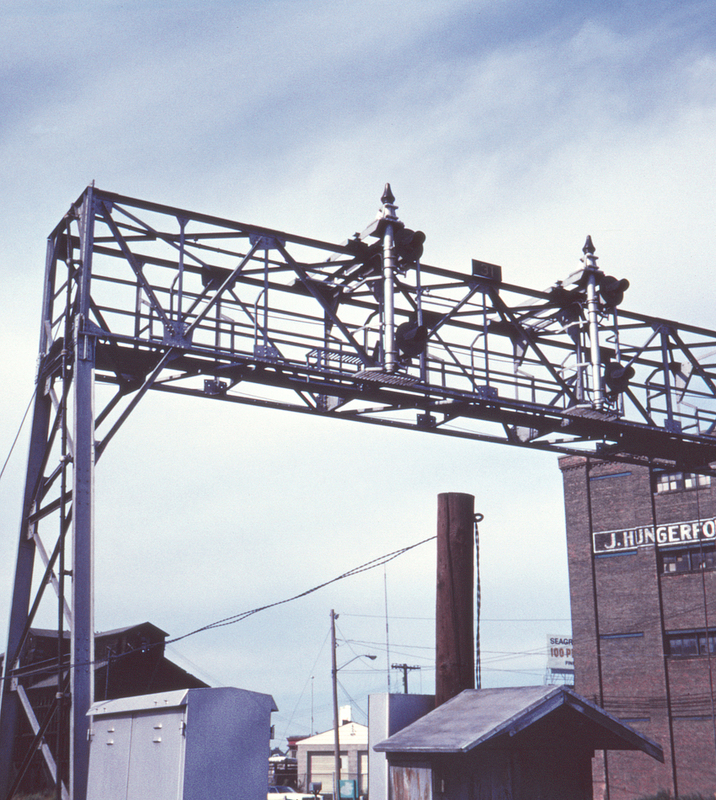 The New York Central's four-track main virtually necessitated the use of signal bridges, and its aluminum-painted bridges were a standard sight east of Buffalo (west of Buffalo many had been replaced by tall signal gantries when the line was converted to CTC). Note the unusually small targets for the searchlight signals; these were also standard east of Buffalo. This was taken from Circle Street in Rochester, New York.